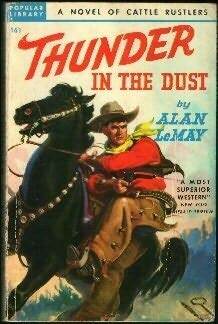 From the day Tom Cloud began ranching in Baja California he was plagued by rustlers who kept draining cattle from his far-flung herds. But the rustling ceased when he hired a Mexican advanturer, El Fuerte, to protect his range. Then a prospector was murdered, and Cloud learned that El Fuerte had recruited an army in the hills and was formenting a revolution. Cloud took the chance to stop El Fuerte though it meant risking everything including the love of a beautiful woman.